This is the 22nd installment of our alkaline foods series where we feature a food from A-Z, sharing the benefits of the food along with suggested recipes to try! Tomatoes are rich in vitamin C, lycopene, beta carotene, lutein, and zeaxanthin. Although they are slightly acidic on the vine, they have an alkalizing effect on the body when digested. For more alkaline recipes from around the web, visit and follow our Alkaline Diet & Recipes Pinterest board. Stay tuned for the next installment of our alkaline foods series: W is for Watercress. Click here to grab your free Chanson Water Alkaline/Acid Food Charts! Is your new year’s resolution to lose weight? Start eating healthier? Establish an exercise routine? Live greener? Here’s a list of free resources we’ve put together to help you reach your dietary, fitness and lifestyle goals. We wish you the best of luck for a fit and healthy 2013 and are here to answer your questions. U is for Udo’s Choice + Alkaline Recipes to Try! This is the 21st installment of our alkaline foods series where we feature a food from A-Z, sharing the benefits of the food along with suggested recipes to try! Udo’s Choice is a commercial blend of oils rich in omega 3, 6 and 9 and a great source of essential fats. You can use it as a dietary supplement or to make salad dressings or substitute for other oils in recipes that do not require frying, baking, or other high temperature cooking. Can substitute whenever oil is called for in a recipe (with the exception of baking). For more alkaline recipes from around the web, visit and follow our Alkaline Diet & Recipes Pinterest board. Stay tuned for the next installment of our alkaline foods series: V is for Vine-Ripened Tomatoes. The 2012 film “The Lorax” (based on the book by Dr. Seuss) features an antagonist who makes a fortune selling bottled air after removing all of the trees from the community, thereby forcing the citizens to rely on his product. At one point a marketer smiles into the camera and says, “Our research shows that people will buy ANYTHING if it is placed in a plastic bottle.” It’s a clear shot at the bottled water industry, but, sadly it’s 100% accurate. We all want clean and fresh drinking water. So much so that annual global bottled water sales equal $50 billion. $50 billion on water that–in most cases–is taken straight from the tap, filtered via a reverse osmosis system which renders the water unhealthy and acidic, placed in a chemical-leeching bottle, shipped thousands of miles (unnecessarily wasting fossil fuels), and sits on store shelves dead for weeks on end before you actually crack open the bottle to consume it. And then, because 90% of bottles are not recycled, they are left to pile up in landfills where they will take approximately 450 years to decompose, contaminating the soil and groundwater around them in the process. Does this make sense to you? Does anyone benefit from this madness besides the greedy bottled water companies? Are you one of the 54% of Americans who regularly consume bottled water because you believe it is safer than tap or simply because you enjoy the convenience of it? Unlike tap water, most bottled waters are either not regulated whatsoever or are under-regulated, which means that despite the hefty price tag, your bottled water may still contain traces of chemicals, contaminants, and pharmaceutical drugs, as evidenced by two separate National Resources Defense Council (NRDC) studies. The water, energy and barrels of oil used to make, label, seal, pack and ship bottled water is staggering. For a visual estimation, for every bottle of water you consume, picture 1/4 of that bottle being filled with oil. Without water, we would cease to exist. Researchers predict a looming water crisis, with shortages effecting much of the earth by 2025 due to increased population and our own carelessness. They’re calling water “blue gold” and some are looking to privatize the distribution of water. In many states it is already illegal to collect rainwater on your own property. Natural News reports that there is a man actually being jailed over this nonsense. You can make a difference. Start saying no to bottled water. Install a high-quality water filter in your home. Fill a reusable BPA-free water bottle with your filtered tap water before leaving the house. Not only will you save money, but you will be drinking healthier water and preserving our most natural resource. Your wallet, your body, and our earth will thank you. Could You Die From the Water You Are or Aren’t Drinking? T is for Tofu + Alkaline Recipes to Try! This is the 2oth installment of our alkaline foods series where we feature a food from A-Z, sharing the benefits of the food along with suggested recipes to try! Tofu is a vegan meat substitute that is rich in protein, calcium, vitamin E, omega 3s, iron, manganese, copper and fiber. Due to widespread criticism of genetically modified soybeans dominating the market, we recommend only consuming organic soy products in moderation. For more alkaline recipes from around the web, visit and follow our Alkaline Diet & Recipes Pinterest board. Stay tuned for the next installment of our alkaline foods series: U is for Udo’s Choice. 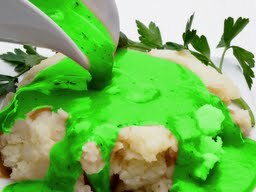 Don’t Let Chemicals and Toxins Into Your Holiday Meals! You most likely monitor the quality of the water you drink. But are you as careful with the water you cook with? Most U.S. municipal tap water is chlorinated, fluoridated and may also contain ammonia. And those are just the chemicals they intentionally add to the water! Other harmful toxins, pesticides, herbicides, heavy metals, pharmaceuticals and more make their way into our water system every day. And if you’re not using a quality water filter, then you are forcing your liver and kidneys to be the filter! Most people rinse their produce in tap water in an attempt to wash off dirt, pesticides and herbicides. But guess what? If you are using unfiltered tap water–or even a cheap disposable filter–chlorine and other chemicals and toxins are being absorbed INTO your food! Boiling potatoes? Making rice, soup, pasta? If you’re not using quality filtered water you’re ingesting whatever nasty chemicals are in your tap water. Consuming chlorinated food and water has been liked to cancer and other diseases, and fluoride is a known disruptor to the central nervous system. Cooking with bottled water is expensive and in most cases acidic, so not a viable solution. Improve the taste of your food and protect the health of yourself and your family with a Chanson Water pre-filter. Our C-3 Filter costs less than $200, addresses over 100 contaminants and will suit most households. Our Nano Filtration System ($695) is top-of the-line and can tackle any water source. This is the 19th installment of our alkaline foods series where we feature a food from A-Z, sharing the benefits of the food along with suggested recipes to try! Spinach is rich in dietary fiber, vitamin C, vitamin E, vitamin A, vitamin K, beta-carotene, manganese, zinc and selenium. For more alkaline recipes from around the web, visit and follow our Alkaline Diet & Recipes Pinterest board. 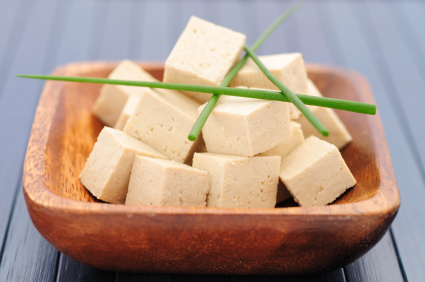 Stay tuned for the next installment of our alkaline foods series: T is for Tofu. Do pH Water Machines Really Work? As a prominent water ionizer distributor and manufacturer, of course we are going to tell you that yes, pH water machines really work. But don’t just take our word for it. Read the dozens of customer testimonials, doctor and athlete endorsements, scientific studies and articles we have collected on the subject. Water ionizers replicate what happens in nature when alkaline mineral-rich water flows over rocks, creating a negative charge, or -ORP (oxidation reduction potential). Through the process of electrolysis, water ionizers are able to separate H- ions and H+ ions, resulting in two streams of water – alkaline for drinking and acidic for eco-friendly skincare and cleaning purposes. They also microcluster the water, which makes the water drops smaller and easier to penetrate cells for deeper hydration and detoxification, and ionize the minerals which makes them more easily absorbed by the body. pH water machines are not a scam or just hype. In fact, there are three very simple scientific ways to test the water to see that they produce water which is different from other waters. 1. pH testing can be done by adding reagent drops to the water and comparing the resulting color to a pH chart. Most ionizers come with a pH testing kit, which will allow you to see how alkaline, neutral or acid your tap water is as well as test the water made with an ionizer at different settings. A pH meter will also tell you the pH of a liquid and is used widely in the wine industry. 2. Another measurement that can be done on alkaline ionized water to prove its effectiveness is with an ORP meter. Alkaline liquids all have a -ORP, while acidic liquids like coffee, tea, soda and most bottled waters all have a +ORP. ORP represents the amount of oxidizers (aka free radicals) or antioxidants that a substance has. Anything with a +ORP is oxidizing to the body and accelerates aging, while alkaline ionized water has a -ORP and is rich in anti-oxidants. 3. Finally, a TDS meter can be used to measure the amount of Total Dissolved Solids in the water. Water found in nature always contains TDS, whereas reverse osmosis and bottled waters usually contain little or no TDS. 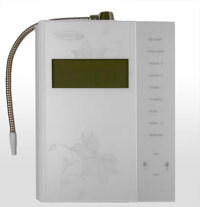 Alkaline ionized water from a water ionizer contains an abundant amount of bioavailable alkaline minerals, or TDS. Not interested in doing any scientific testing but want to see, feel and taste results? When you first start drinking alkaline ionized water, the first thing you will notice is that the water has a silkier and smoother feel than regular water, and it won’t leave you feeling bloated or waterlogged. You’ll also need to make much more frequent trips to the restroom for the first few weeks–a sure sign that the water is detoxifying your cells. You are also likely to feel energized, unless you are particularly loaded with toxins in which case you might feel flu-like symptoms while your body detoxifies, followed by increased energy. And if you soak your produce with alkaline ionized water, you will notice fuller flavor. But the benefits of a pH water machine don’t end with the alkaline ionized water for drinking. If you apply low pH acid water to your skin, you are likely to notice fewer lines and softer skin. And if you spray it on carpet or fabric stains, you’ll be able to see the amazing stain-fighting properties in action. In fact, there are many, many uses for low pH acid water that you are missing out on by not owning a water ionizer! 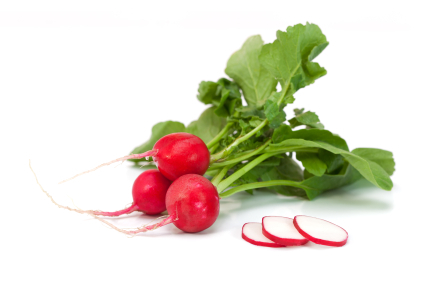 R is for Radishes + Alkaline Recipes to Try! This is the 18th installment of our alkaline foods series where we feature a food from A-Z, sharing the benefits of the food along with suggested recipes to try! Radishes are rich in vitamin C, fiber, antioxidants, folate, B vitamins, vitamin K, potassium, manganese, magnesium, calcium, iron, phosphorous, sodium, copper and zinc. For more alkaline recipes from around the web, visit and follow our Alkaline Diet & Recipes Pinterest board. Stay tuned for the next installment of our alkaline foods series: S is for Spinach. If you had to take a guess as to which is more toxic: a busy polluted city street or your own home, which would you choose? The correct answer may surprise you. Everything from the carpet underneath your feet to the often poorly ventilated air you are breathing to the chemicals and chemical by products in the water flowing through your tap contain toxic elements that over time can contribute to poor health. In fact one study showed that women who work from home are more likely to develop breast cancer than those who don’t. Think your drinking water is the only thing you need to filter? Think again. Chloroform is carcinogenic and is formed from the chlorine that the government puts in the water to disinfect it. The University of Pittsburgh conducted a study which showed 6X higher levels of chloroform through inhalation versus water consumption. So whenever you shower, use the dishwasher, washing machine, or flush your toilet, VOCs (Volatile Organic Compounds) are released into your home and inhaled. Your exposure to VOCs and other harmful chemicals can be reduced with a Whole House Filter and Chanson Spa Shower Filter. By properly ventilating your home with open windows you will naturally help reduce the amount of toxins you home. Air filters can also help improve the air quality of your home, just make sure they are placed in a way that covers the entire square footage of your living space. Our new Chanson Miracle Sanitizer, though not an air filter, kills airborne pathogens and odors, rendering chemical air fresheners unnecessary and reducing toxins. Commercial cleaners are loaded with chemicals and chemical byproducts that can be harmful if inhaled as well as if they make contact with the skin or are ingested. Try using natural cleaners like ionized acidic water from a Chanson water ionizer for a chemical-free shine as well as natural antibacterial action! What are you using to scent your home? Chances are your sweet-smelling substance is full of cancer-causing chemicals that are by no means healthy to inhale. Switch from commercial air fresheners to a natural alternative. When moving, remodeling, or redecorating, consider natural materials, paint and fabrics like bamboo, cork and wheatboard over carpet, heavily treated wood paneling and chip board flooring. The chemicals used in traditional dry cleaning and detergents are easily absorbed into the skin at a rate of 60%. Fortunately many dry cleaners now offer an organic dry cleaning option and you can try our power powder for a more eco-friendly home solution. Always allow dry cleaning items to air out before bringing them inside the house. Do you know which household appliance may be killing you? The truth is that all electronics give off electromagnetic radiation that may be damaging to health. In fact one study showed that if a charged cell phone were placed inside of a raw chicken it would cook the chicken in a mere three days time! Just think what it could be doing to your cells! Try limiting your use and distancing yourself from your electronic devices while you sleep. Most shampoos, soaps, and cosmetics are acid-forming and absorbed through the skin. Our SkinBalance product is all-natural and great for use as a skin toner, aftershave, an astringent, general cleaner, and hair conditioner. Explore mineral makeup and other organic beauty products for optimal health, and see our article on 9 Ways to Alkalize Your Beauty Routine. Processed foods are packed with preservatives, GMO’s, MSG, pesticides, fluoride, and artificial flavors and colorants. Aim to add more fresh produce to your shopping cart each week and cut down on the pre-packaged items. We’ve compiled a list of the foods which need to be bought organic versus the foods that don’t to help you shop. Ionized Water May Help These Common Diseases & Conditions! Is What You are Drinking Helping or Harming You? Is Your Garden pH Balanced? What is alkaline ionized water? What is Ionized Alkaline Water?